Santina - Elegant dazzling austrian rhinestone headband - SALE!! HOME / WEDDING HEADPIECES / Wedding Headbands / Santina - Elegant dazzling austrian rhinestone headband - SALE!! Description: Elegant dazzling austrian rhinestone headband. 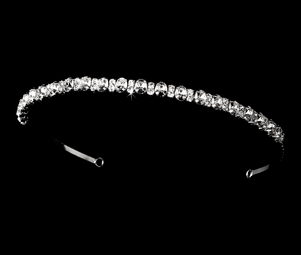 The Santina Headband is a simple yet dazzling with a modern look. Great size and beautiful elegant look.